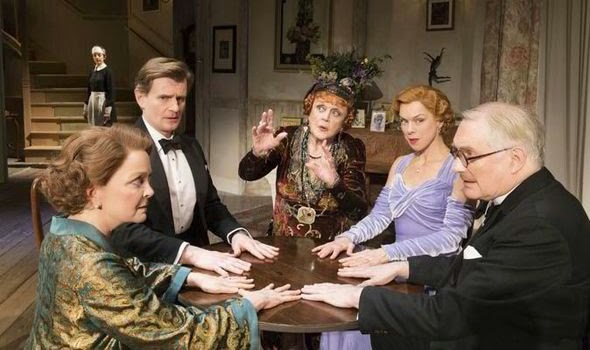 Actor Charles Edwards, known for his roles in Batman Returns and Downton Abbey, will appear in Blithe Spirit with Angela Lansbury at the Ahmanson opening December 14. 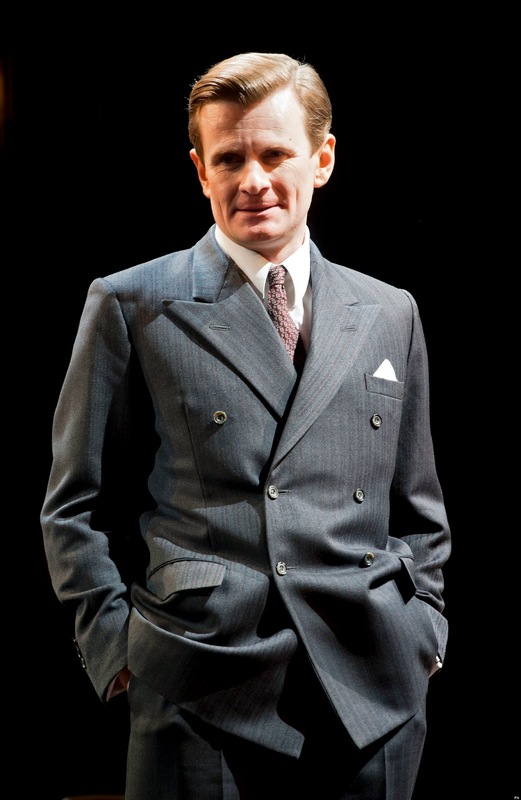 In our conversation he talks about the play, working with Miss Lansbury and other highlights of his career so far. I read that one of your first appearances on stage was in Blithe Spirit. What part did you play then? I played the role I'm playing now - Charles. It was my first theatre job and I was way too young for the part but it was at a beautiful rep theatre in Yorkshire, the Harrogate Theatre, that used to hire people straight out of drama school to gain experience. We were really cheap to hire, too, which perhaps had some bearing on it. How does it feel to return to the play? It's about 20 years since I first played the role so I don't really have much recollection of it. I remember being terrified because it's a large role and I felt very responsible. That hasn't altered much. Have you been with this production since Broadway or have you recently stepped in? The Broadway production was sort of remounted and remodelled for London, but Angela and Simon Jones were the only two cast members who remained. I joined in London where we played earlier this year, and now for this new production we have an amalgam of the two previous ones, with members of both the Broadway and London casts involved, but with a brand new Ruth, Charlotte Parry. The joining together of the various strands has created a unique fresh energy that is very exciting to be part of. What is it like to tread the boards every evening with Dame Angela Lansbury? Talk a bit about her as an actress and costar. Talking of energy. She totally owns the role and has made it completely her own; she says it's the best role she's ever had. We've got her at her absolute prime. She's played it many times now and won a Tony for it. What I love about seeing her play the role is that her Englishness comes absolutely to the fore, which perhaps for people more used to seeing her in American theatre and TV will be a fresh experience. She uses a voice for Madame Arcati that is the English of her childhood, the kind of accent that you only ever hear in old black-and-white movies. It's a beautifully observed performance, full of rich detail and delicately executed comedy. A real treat to watch, you've got to see her. Which Shakespearean role is your favorite? Why? I had a terrific time with Benedick in Much Ado About Nothing at Shakespeare's Globe in London. Many people who've worked at the Globe say the same thing which has sort of become clichéd so forgive me, but the plays that were written for that theatre make total sense in performance there. A role like Benedick, where you are literally conversing with the crowd, is a lot of fun. The Globe is a wonderful place to be. Even when it rains. Tell me about The 39 Steps. You premiered in it in London and then in the US, correct? What an achievement for an actor to play all of these roles! It is so physically demanding as well as emotional. How do you feel about this role and the play? I'm very proud of The 39 Steps. I played Richard Hannay first at the brilliant Tricycle Theatre in London, then into the West End, then to the Huntington in Boston, then for Roundabout at the American Airlines, and then to the Cort. It's still on in London at the Criterion. My giant face still looms over Piccadilly Circus. It's a production that required and continues to require a lot of work and care from everyone involved, from its inception to current performance. Anyone in it will tell you it's exhausting, but very satisfying when it's done right. I did 2 years in all. Tell me about Downton Abbey and your role in it. How do you account for its tremendous success in the US? The Downton Effect. I don't think anyone quite knows its secret, least of all Julian Fellowes who has often said so. I suspect at its core it's something to do with the two faces of society - the social veneer above, coupled with the grime and the cogs below that keep the veneer intact. People like to peek behind green baize doors. I play Michael Gregson, Lady Edith's lover who is currently in Germany, trying to get a divorce from his lunatic wife so he can marry Edith. Do you have a dream role? By that I mean one that you are yearning to essay. Why this particular one? When I was younger I always found myself being much more interested in roles that would come later in life. Young lovers and confident heroes have never held much appeal and as a result I was never very good at them. Flawed people whom life has chipped away at are more satisfying to play. George in Who's Afraid of Virginia Woolf? is something I would love to do one day because the role exemplifies those elements. What do you think makes Noel Coward plays as timeless as they are? Talk about his wit and how your character in Blithe Spirit contributes to the humor. 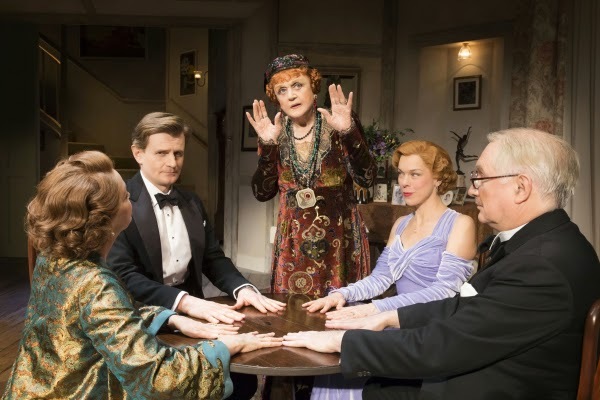 The humor in Blithe Spirit is maybe a little different to what you'd imagine from a Coward play, although that's not to imply that he only ever churned out a particular brand of humor. His style and wit are of course intact as they always are, but this play is very much a farce as well as being a pretty tart observation on sexual satisfaction versus solidity and comfort in a relationship, and whether a balance of the two is ever possible. That's a question that has never gone away, and never will. Don't miss Charles Edwards in Blithe Spirit, which begins previews Tuesday December 9 with official opening set for Sunday December 14!